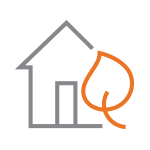 Natural Gas Start Service Form | Spire Inc.
We're having some network issues today, and it's affecting our forms and emails. To get in touch with us quickly, please give us a call at 800-887-4173. We're very sorry for any inconvenience, and we hope to be back up and running soon. We're having some network issues today, and it's affecting our forms and emails. To get in touch with us quickly, please give us a call at 800-582-1234. We're very sorry for any inconvenience, and we hope to be back up and running soon. We're having some network issues today, and it's affecting our forms and emails. To get in touch with us quickly, please give us a call at 800-292-4008. We're very sorry for any inconvenience, and we hope to be back up and running soon.